Steve Dodge and the Disc Golf Pro Tour are doing some really good things to help grow disc golf. The Pro Tour has placed an emphasis on live media coverage and has focused on making disc golf events more fan friendly. It has introduced disc golf trading cards, player ratings, and a championship that provides more incentive to watch the live coverage. Disc Golf Pro Tour events also feature a festival with all sorts of disc related events to encourage more youth and family participation. While watching this and other recent events, I’ve thought a lot about what disc golf really needs to “grow the sport” on the professional level. Last month Utah had its biggest (in terms of payout and pro presence) disc golf tournament ever. While we didn’t have most of the big name pros present, we had a handful of touring pros who came to Utah to play disc golf for the first time. The tournament director, Jade Sewell, literally spent hundreds of hours working to make this event big — and make the Pros feel like superstar professionals. He arranged for dozens of volunteers, live stats, online voting, photographers, and video coverage from Central Coast Disc Golf. 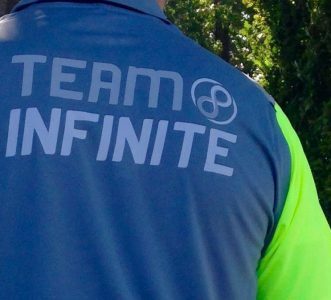 For the tournament, Infinite Discs invested a lot of time and a money in sponsorship. While we knew this would primarily go to pro payout, we hoped from a business perspective that there would be a long-term positive return and branding advantages. The desired outcome is that professional disc golfers will draw disc golf spectators (our target market) to the event and to the YouTube tournament coverage. A sponsor needs potential customers associating the event with their brand. Unfortunately, the Utah Open didn’t have the big names Ricky Wysocki, Simon Lizotte, Avery Jenkins, and Will Schusterick that we saw last year. Paul Ulibarri, Cam Todd, Gregg Barsby and the local Utah pros didn’t make the final round lead card. As it turned out, there just wasn’t a lot of interest from local disc golfers or casual observers to come and watch the Utah Open. As the final round lead card began their round, I was surprised that there were only half a dozen observers that showed up. As the amateur players finished their tournament rounds there were a few more fans that joined the gallery, but overall it was an underwhelming fan presence. Do disc golf professionals even want us promoting their brand? There were a few things that happened during the round that made me think the overall approach of professional disc golf needs to change IF they really want to make it a fan friendly and see BIG payouts. I helped keep round statistics and live scoring during the final round. There was one instance where we couldn’t tell if the player’s out-of-sight throw landed in the OB bunker or not. The frustrated player (frustrated because it was out-of-bounds) refused to answer us when we asked. As people are volunteering time to keep stats that help promote the event and the professionals’ brand, the players need to cooperate to ensure that the information is accurate. Multiple players asked camera men that were 50 feet away to move out of their line of site. Twice, after missing putts, one of the professionals complained to the camera man, saying that he needed to be still, (which from my observance — he was) as if it was the camera man’s fault that he missed his putt. There was also a time when the pros got into a pretty heated argument over whether a bunker shot that was right on the edge of the grass line was inbounds or not. The angry pros made an awkward, uncomfortable atmosphere for everyone present. After this instance and the cameraman berating, it seemed that the fans were hesitant to interact or even cheer after a good shot. We didn’t want to shake up a player’s fragile mental state and have them blow up for ruining their shot. It almost felt more like we were intruding on a private golf round rather than being part of a historic, professional event. I understand that player’s livelihoods are on the line based on how well they perform, but it’s us, the sponsors, who are the ones making it possible for the relatively big payouts. The traditional golf etiquette “be still and silent” so you don’t distract the thrower may be nice for private rounds, but if we want disc golf to be a spectator sport (an ingredient needed to get serious sponsors) then fan participation needs to be open and even encouraged. Fans love it when they can interact with the players. We love the feedback, we love being able to cheer. It’s fun to cheer for your favorite pro, but it’s just uncomfortable when you feel that you need to restrain your emotions so you don’t make too much noise. Think of competitive basketball, in comparison. Do the players complain about fan participation? Do they demand silence during the intentional distractions when shooting free-throws? They wouldn’t dream of openly complaining, and if they do, it could be a technical and the bench for unsportsmanlike conduct. When it’s too awkward to get near enough to the action to see what’s going on, and when you have to maintain a state of reverence instead of expressing your enthusiasm and excitement, then what’s the point of attending a disc golf tournament when there are so many other entertainment options? I’m not suggesting that fans be encouraged to heckle players, but in my opinion, professionals need to change their mental outlook on how they play the game. If we want professional disc golf to grow, we need to put media coverage and fan participation first. I think professional disc golfers need to enhance their mental games so that they can make a putt without being bothered by the background movement from a fan or cameraman. I’m a passionate sports fan. To me, a big draw of sports is watching my team win — when there could be any outcome. It’s the drama of not knowing what will happen, especially when I have pride and bragging rights on the line. If I don’t have a reason to cheer for (or sometimes against) a certain player or team, then I’m not going to be engaged enough to watch an entire four-hour live disc golf broadcast. If there’s no emotional bearing on the line, then what’s the point? Professional disc golfers, the media, and the sponsoring brands need to give us a compelling reason to cheer for their “teams” and players. I recently found myself watching an ESPN women’s softball broadcast, not because I like watching softball, but because it was my college team that was playing. Can disc golfers be loyal enough to a brand that they are going to watch a finals round because a player from their “team” makes the lead card? I imagine fans are more likely to follow when the pros playing represent their home town or local club. A big problem with watching disc golf is that our choices are either slow live coverage (not always reliable) or YouTube rebroadcasts where you already know the outcome and so lose the element of sports drama. There are a few players who have engaging personalities, and have branded themselves in a way that people genuinely want to follow them and watch them win (or lose). When live disc golf coverage is aired, there are only a few thousand hard-core disc golf fanatics that tune into the events. My guess is that most of these viewers tune in primarily because they like watching good disc golf. The lack of sports drama and professional coverage make it hard to keep the attention of hundreds of thousands of casual disc golfers and general sports fans. Increase the professionalism of disc golf broadcasts. The first time I watched a Disc Golf Planet TV broadcast three years ago, I laughed at how unprofessional it was. Walking while filming is the first great sin of amateur filmography. When the camera men needs to walk to the next shot, the broadcast footage should switch to stats, commercials, or updated footage from previous action or other cards. Increase the speed of play. A custom of disc golf is to have the feature card play the very last round of the day. The problem with this is that disc golf tournaments almost always run slow, and backups happen. Often times the live disc golf broadcasts themselves start late. This issue is easily resolved by having the featured cards play first, or by having substantial buffer time between the aired card and the groups in front of them. Increase the commentary. Watching silent disc golf throws isn’t nearly as fun or as informative as it could be. It’s nice to hear cheering, and it’s even better to know how difficult the shot really was when you don’t know the details of the course circumstances. When watching disc golf, I like it when the commentators tell me who the players are, what their current scores are, and what this particular shot means. One reason disc golf commentary is minimal is because of “be still and silent” golf etiquette. We either need to change player mentality so that commentators can talk while players are throwing, or else there needs to be remote commentating happening away from the actual disc golf action. The Pro Tour is making great strides to try to reduce the downtime between shots with statistics and footage of other cards. They have between-shot statistical analysis and are aiming to have multiple card coverage. Overall our broadcasts are improving, but we still have a long way to go. 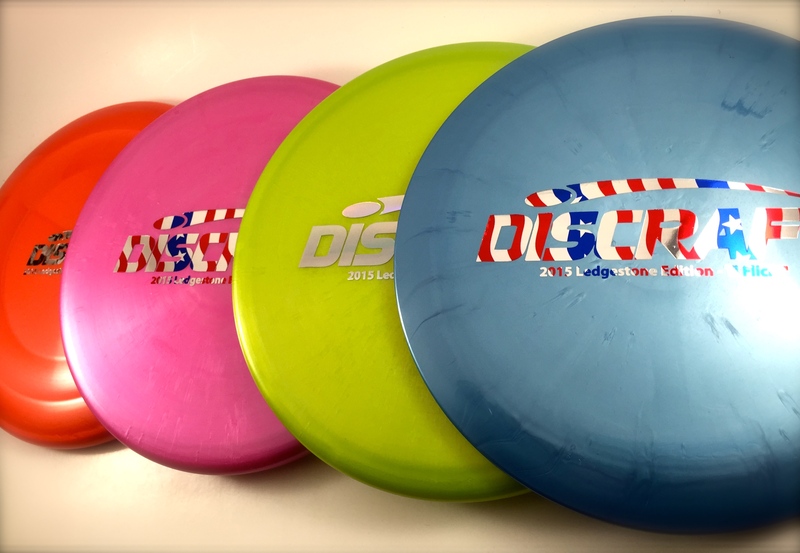 As a business directly related to disc golf, it is logical for me to sponsor tournaments, when the price is right, because while the number of spectators and viewers are small, they are my ideal target market. For the local events we sponsor, we have confidence that we will be able to sell enough product to at least cover our sponsorship and travel expenses. But what about non disc golf related sponsors? How many more eyeballs do they need before they will sponsor disc golf tournaments? The Vibram Open’s ~20,000 viewers is impressive compared with past disc golf broadcasts, but compared with the 38,000,000 who watched game 7 of the NBA finals — it’s easy to see why major sponsors are not reaching out to disc golf. When disc golf events and broadcasts have enough of a following — sponsorship and money will come. Unless professional disc golf fundamentally changes to better engage fans, I don’t see that happening any time soon. Until companies see their sponsorship as an advertising investment, we will likely not see much of an increase in pro payouts. As a sponsor, I want to feel that my sponsorship efforts are a business investment and not just a donation to people who are good at throwing discs.